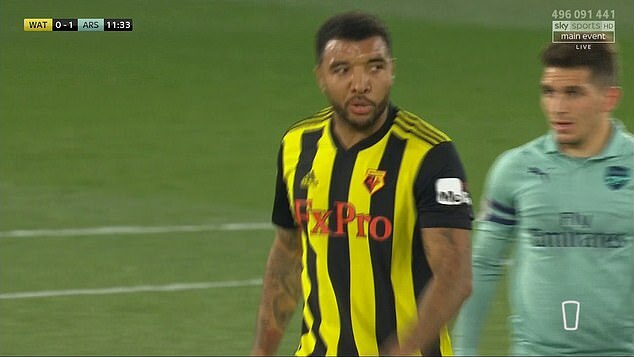 With the game broadcast live on Sky, Deeney was captured by the television asking Pawson ‘what for?’ after being given the red card. 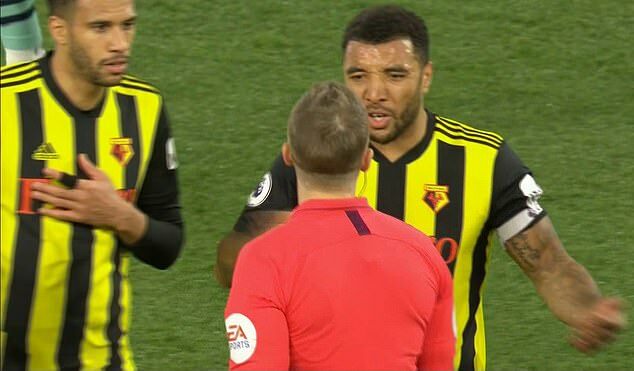 After being told it was the assistant who made the call, Deeney can be seen asking the official ‘how?’, before being told to leave the field again by Pawson. 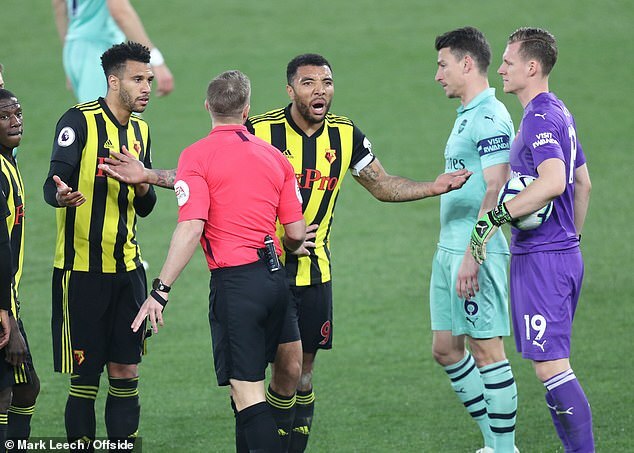 Deeney tells Pawson the decision is ‘f****** embarrassing’ before walking off. 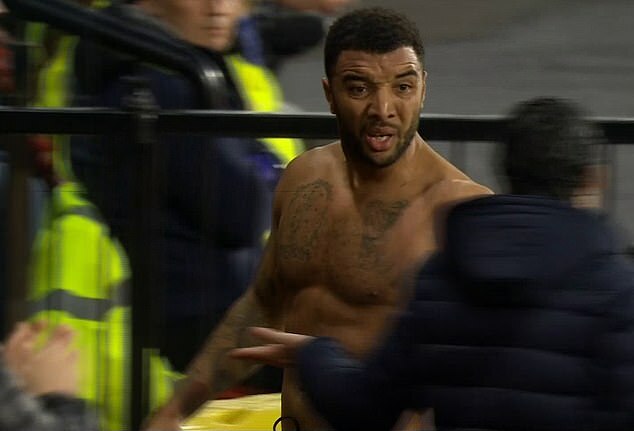 The former Walsall man pulls off his shirt in disgust and flings his captain’s armband towards a team-mate before making his way towards the dugout. 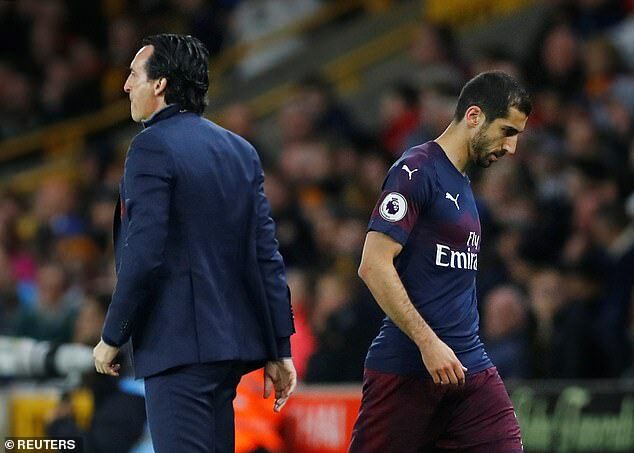 As he leaves the field, he gets involved in a heated discussion with Torreira. 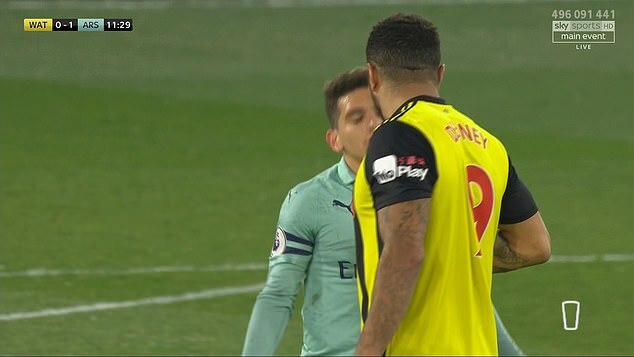 Although Deeney’s back is to the camera during his exchange with the Uruguayan, as he turns to leave the striker clearly calls Torreira a ‘f****** p***y’. 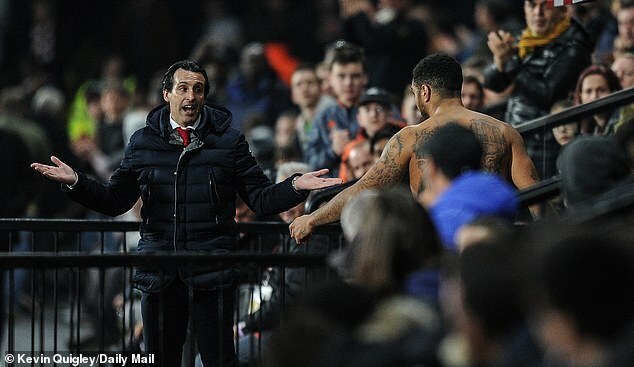 It is an epithet that Deeney repeats to Arsenal manager Emery as he exits the field, before having words with the players and staff in the away dugout. 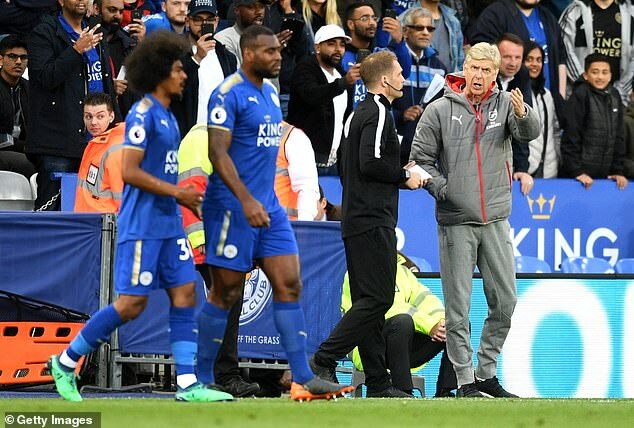 However Deeney had no choice but to leave the field of play, and was spotted later in the first half in his Watford tracksuit, watching the game from the tunnel. 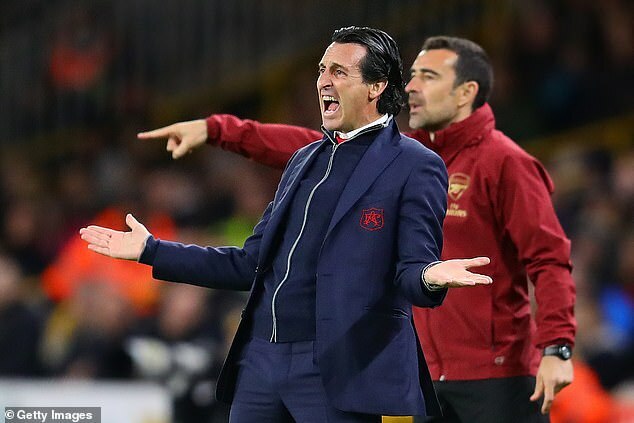 Hornets striker Deeney infamously claimed Arsenal ‘lacked cojones’ last season after Watford beat Arsenal 2-1, adding to the amusement of the away fans when the 30-year-old was given his marching orders. 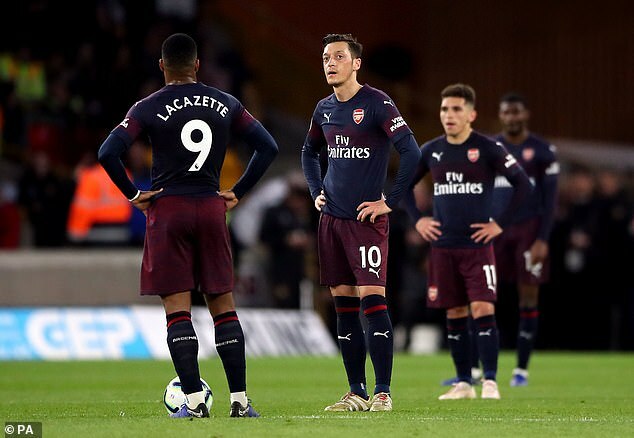 ‘There’s a reason why they lost and it wasn’t because of one penalty,’ Deeney said. ‘I’ll have to watch what I say. It’s (having) a bit of cojones, a bit of nuts. 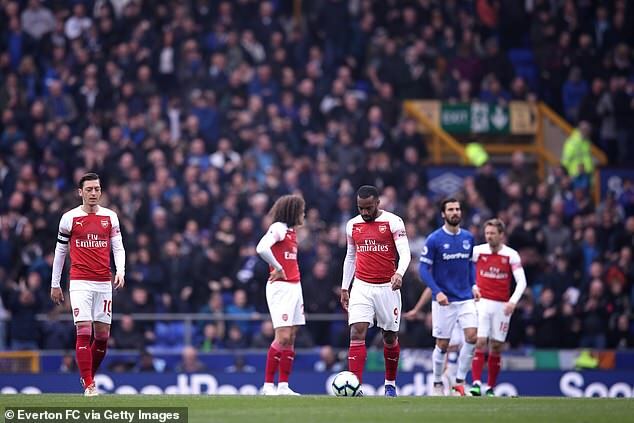 Whenever I play Arsenal, I’ll go up and think, “Let me whack the first one and see who wants it”‘. 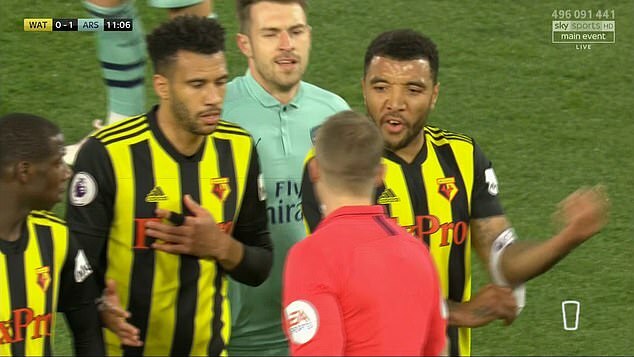 Hornets boss Javi Gracia felt Deeney should have been booked: ‘I respect the referee’s decision, but I don’t agree. 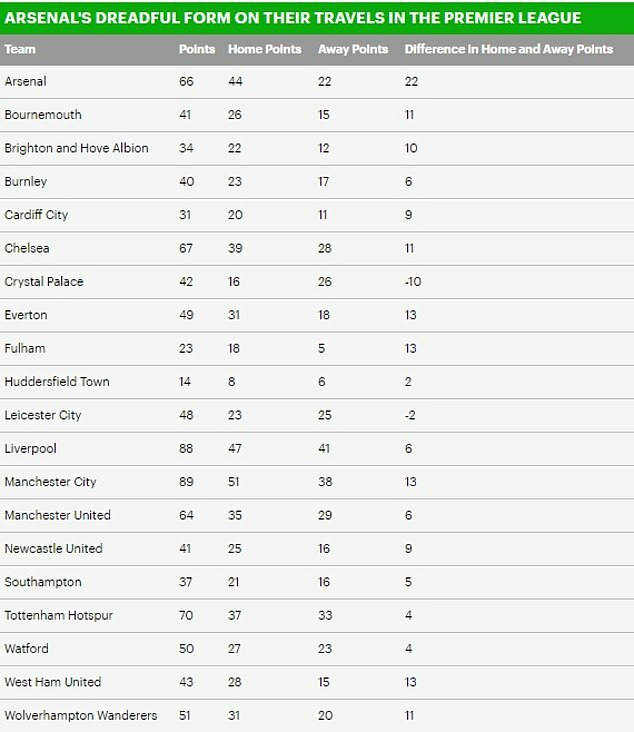 In my opinion it is a yellow card but never a red.